Photograph of the Pratt Family, c1909, Wimpole. 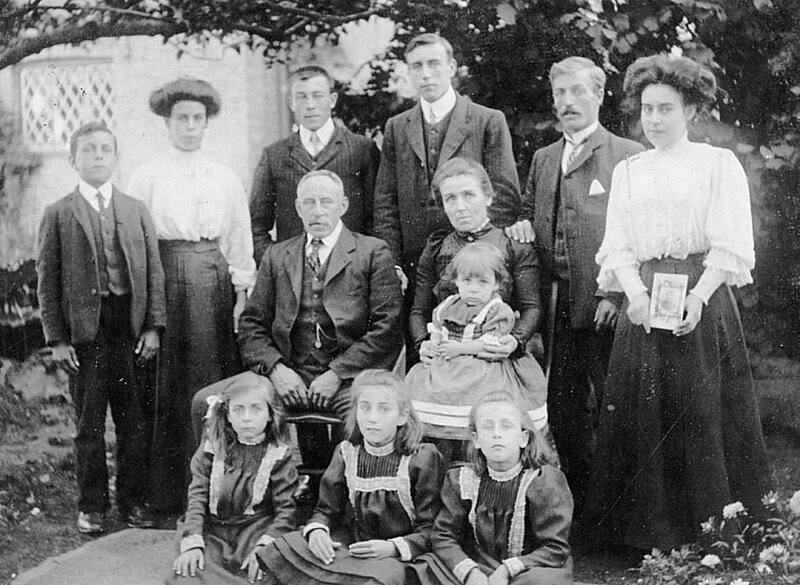 The Pratt Family, believed to have been photographed in the garden of (now) 62 Cambridge Road, Wimpole in the summer of 1909.
who was away on military service. Middle Row (seated): Parents Charles Pratt (1860-1929) and Martha Pratt nee Hales (1863-1934) with Henry George Yaxley Pratt (1907-1936) on lap.